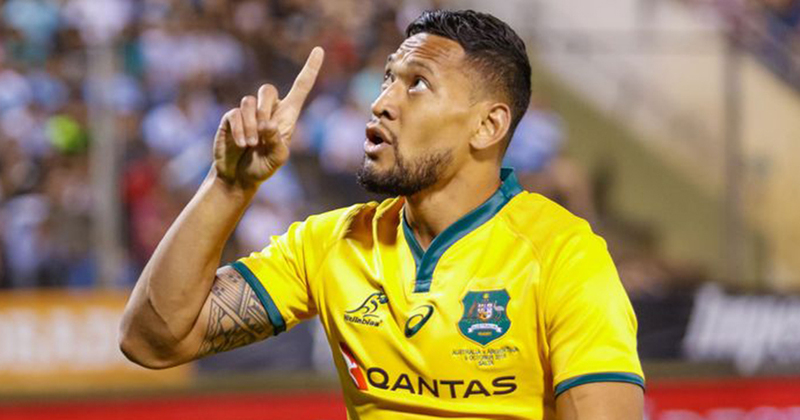 After Israel Folau made an Instagram post telling gay people "hell awaits you," Rugby Australia has announced its decision to terminate his contract. Lifestyle 11 April, 2019 . Written by Cassia Gaden Gilmartin. The post consists of an image warning “drunks; homosexuals; adulterers; liars; fornicators; thieves; atheists; adulterers,” to “repent,” and saying that “only Jesus saves.” Folau added a caption reading “Those that are living in Sin will end up in Hell unless you repent. Jesus Christ loves you and is giving you time to turn away from your sin and come to him,” along with a quote from Galatians 5. This is not the first time that the 30 year-old former rugby league international, a fundamentalist Christian, has made social media posts condemning LGBT+ identities. He shared similar opinions online last year, and was warned against such posts by Rugby Australia chief executive Raelene Castle. Nonetheless, he was allowed to sign a new deal with Rugby Australia lasting through to 2022 this February. Last year’s posts also triggered threats from sponsors of the Australian national team that they would withdraw support. In a statement today, Rugby Australia said “Rugby Australia and the New South Wales Rugby Union have made repeated attempts to contact Israel both directly and via his representatives since 6.30pm on Wednesday, and at this point he has failed to communicate directly with either organisation.